Volkriun Space Force! The final drop of the year is here, and a few guys already sold through. Panel lines debut on the Swing Joints for the first time, plus get get a good smattering of everything else. Click here to see the November 30 2014 Onell Design drop menu. Just in time for Cyber Monday! 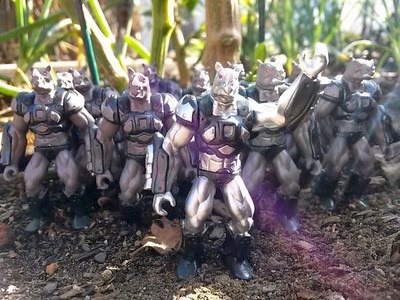 The new Armorvor isn't yet ready, but a whole new selection of Volkriun Space Force figures will be up for grabs at 9:30 PM Eastern on Sunday. This is the last batch for 2014, so grab your stocking stuffers here. Click here for the update at Onell Design's blog. Also, a few hours after I made this post the full Mission Details were posted. Be sure to check those out too! Rigs, Super Crayboth, and quite possibly the coolest Phanost ever are up for grabs - and there have been plenty of pretty cool Phanost figures thus far. More after the break, but you should probably read it over there. I think I mentioned before when Power Lords was first told to me as under consideration for a revival, I wasn't quite sure I remembered what it was. Adam Power and his friends were not in my childhood toybox, and I checked with some old friends who had some - but had no idea who or what they were. 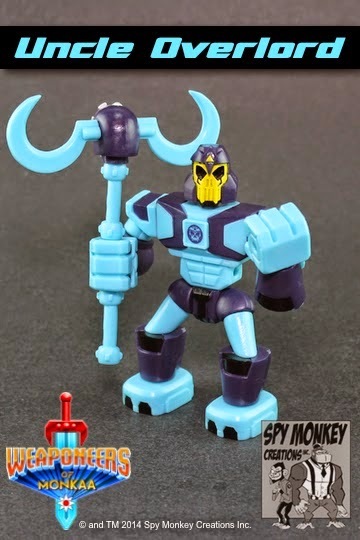 I was a huge fan of the Outer Space Men as a concept - and the revival - plus Glyos and the Four Horsemen usually bring great things. And this is a pretty great thing - but the level of momentum and the value of the club memebership left me wanting. 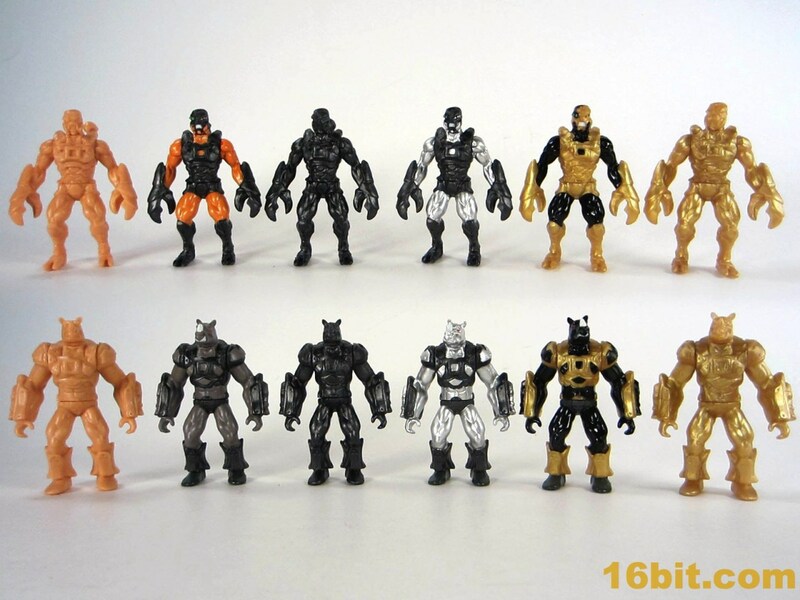 These are all very good figures, and I think that fans collecting them in the future (that is, picking them up on eBay or in trades) are in for a big treat. But for those of us in the present? The level of non-communication, the lack of any idea when the third new sculpted body for this line will happen, and the relatively weak roll-out over the last year makes me think that I need to rescind my all-in attitude and cut back to just the full-painted updates of vintage guys. 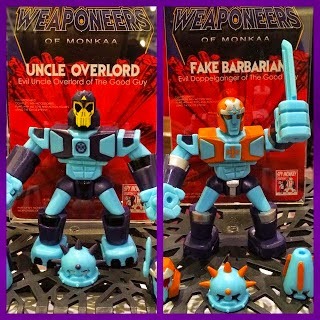 The Spy Monkey Creations Weaponeers of Monkaa Uncle Overlord and Fake Barbarian are going up for sale at the Spy Monkey Store on Friday at Noon Pacific. Each is $20 and looks pretty fantastic. Click here for more info. 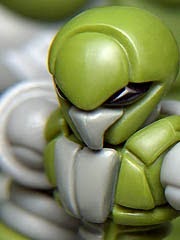 The cult of Glyos expands! A new figure is hitting D-Con this weekend in Pasadena. The Mystical Warriors of the Ring have been around for a while as nifty wrestling figures in the spirit of 1980s lines, and it's a nifty Glyos-compatible figure. Meet Goliath! The brown plastic test shot is limited to 40 pieces and matches the Rig Crew figures from Onell Design a couple of months back. As a special low run debut, it will be $30. As you can see on their blog post, the figure mixes and matches with an Armorvor quite nicely and looks to be similar in size. I like it. Mark Vasquez has confirmed the 2 1/3-inch figure will be getting a normal release around December in an undisclosed color. It is slated to be a mere $6, so if you feel like holding out that's quite the deal. Spy Monkey Creations will be at DesignerCon is Pasadena, CA this weekend! 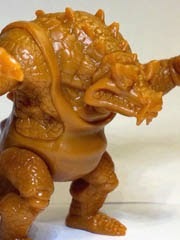 Click here for a look at their new figures, including Uncle Overlord (pictured) as well as Fake Barbarian. The fake Skeletor is $20, as is the Faker. No word yet on when you can order them online, if you can.